Whether you’re making room for baby in a one bedroom apartment (like we did) or you just want to keep your new bundle close at all times, sharing a room with a baby is totally possible and actually a pretty great way to ensure everyone gets some sleep. 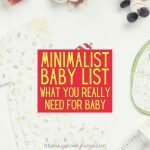 Firstly, understand that no matter what anyone tells you, babies need very little. All they truly need is you, a place to sleep, and food. 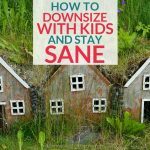 If you’re planning to continue living in a studio apartment with a baby or in another compact home without a dedicated nursery, be prepared for the comments and judgements of others. Unfortunately, people are gravely concerned at the thought of a newborn being confined to a small space. These people tend to be quite vocal about their concerns. “So, when are you moving?”, “Oh, you’ll need an extra bedroom or two!” Etc etc. Don’t buy into that. 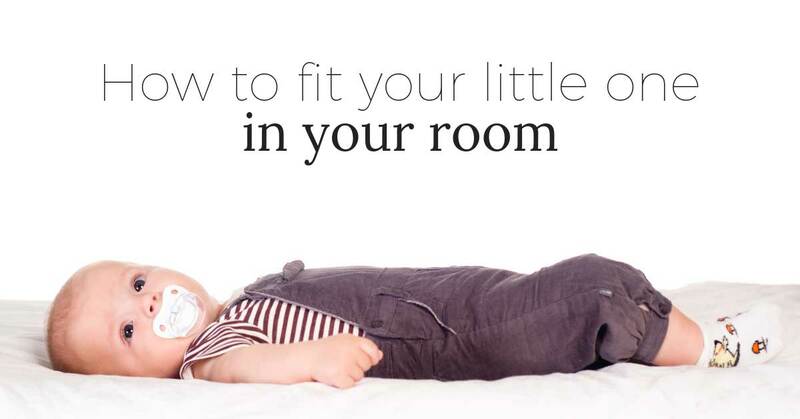 Your baby will be just fine in a small space (and so will you). We were able to add in a nursery corner in parents room (aka the only bedroom) for our first, and then had mom and baby room together with the older kid joining the foray too, eventually (and this is still how we sleep). If you’re sharing the master bedroom with a baby, you’ll need to assign a corner for their bed, and an area for their clothes. That’s it really. 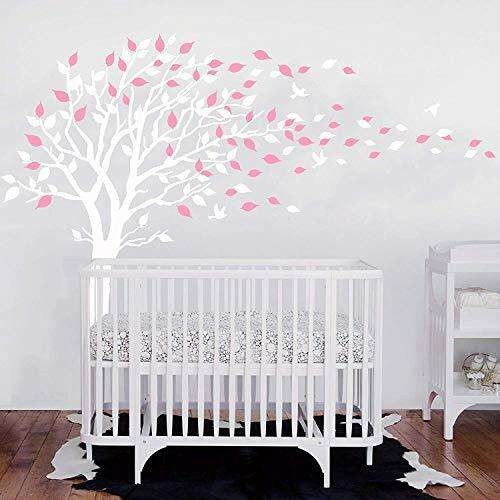 Before you decide anything design-wise, you’ll need to have a good think about how you want your baby to sleep. 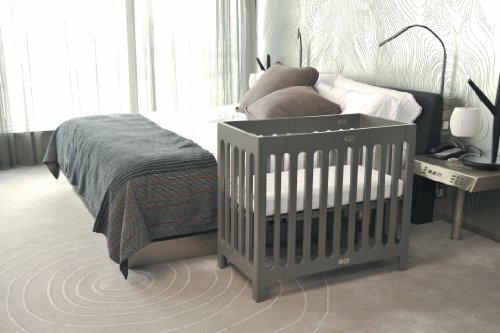 You might want to the baby in arms reach (as pictured in the Bloom Alma mini crib above), or you might want to bedshare. We started off with our baby in a bassinet, parallel to the bed. We then ended up co-sleeping with baby in the middle of the big bed, and have been doing the same thing ever since. Even though we co-slept, we still needed a place for baby to take naps and as I couldn’t lie down to nap with him every time, we kept the bassinet for day naps as long as we could. Knowing what I know now, my best pick would be a convertible mini crib on wheels, as even if your baby doesn’t sleep in it the majority of the time, you can convert it into a twin bed when they are bigger. I really wish I had done this. 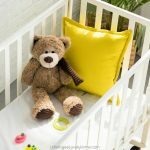 Here are my picks for the best mini cribs on the market. When push comes to shove you can use a changing pad on the bed for diaper changes. You don’t need to buy a change table. 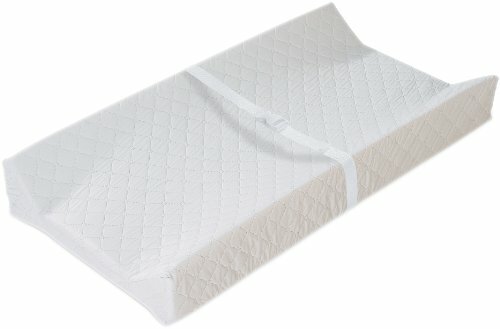 A cheap changing pad is easily cleaned (like this one) and can live right under the bed when you’re done with it. If you can fit a nursing chair, that’d be ideal, but I didn’t have space for that first time around and sitting propped up in bed with pillows worked fine for me. Using a nursing pillow (like the My Brest Friend – see it here) will take a lot of pressure off your arms and can easily be used in a small space, then stored away. It’s super easy to DIY baby room storage. 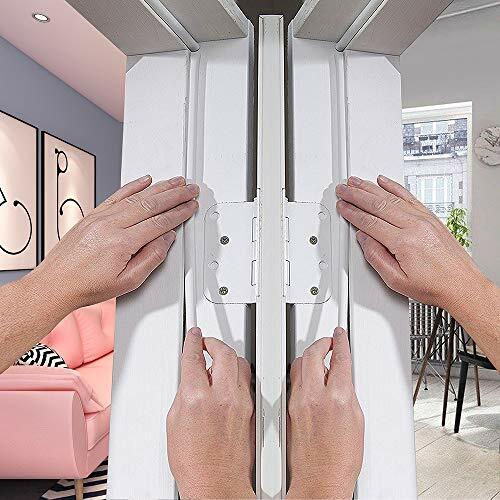 When space is at a premium, hanging storage on the backs of doors works really well. These Over The Door Hanging Organizers are great value and can store loads of stuff in them. Baby clothes are small and very easy to roll, but there are lots of them. 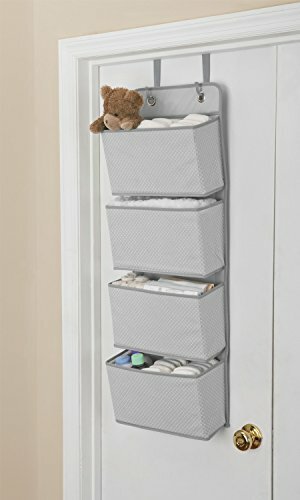 So a shoe organizer (like this Unjumbly one)on a wall or the back of a door can also be an ideal place to store baby clothes. 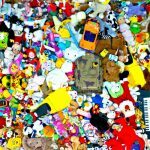 Check it out here.. Under the bed storage bins also work great for baby gear. These rollaway bins by Sterilite would fit so much in them and are really easy to access. When you are sharing a room with your baby you need to ensure the conditions are perfect for maximum sleep. That means dark and quiet. Black out curtains are an absolute godsend. I invested in a really good set of blackout curtains last year and they have completely changed my kid’s sleep habits. They are especially helpful in summer with the longer evenings. Combined blackout and soundproof curtains (these are my top picks) are worth the investment if you can swing it. Most of us small home dwellers live in close quarters with other people (apartments, duplexes, street frontages etc) so noise can be more prominent in small spaces. Trying to get a baby to sleep is hard enough, so ensuring your shared room is all set for successful sleeping will really help. If you are thinking of trying out co-sleeping, you might want to invest in a bed partition for baby. Please do your own research on the safety of bedsharing before you make this decision. 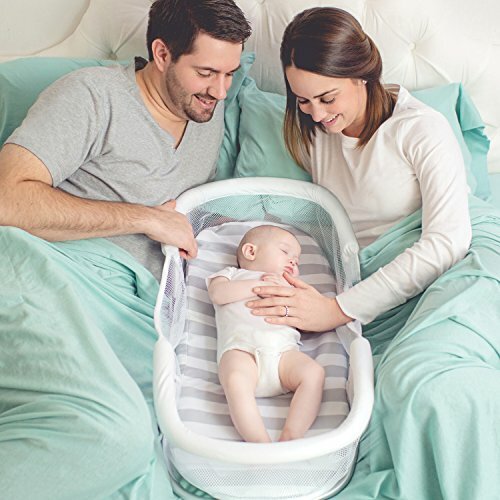 If you do decide to try bedsharing, investing in a cosleeper like the one pictured above can help you keep your baby in a safe sleeping position. 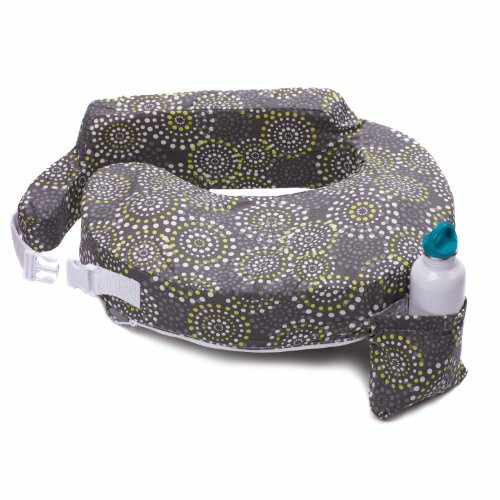 This cosleeper by Swaddleme is recommended up to 3 months old. This will help keep the draft and noise out and everyone will sleep better. If you have old wooden windows, weather stripping can make a huge difference to the warmth of your bedroom. It’s also a really cheap solution to new joinery (which ain’t cheap at all). Check it out here: Door Weather Stripping, Keliiyo Window Seal Strip for Doors and Windows. 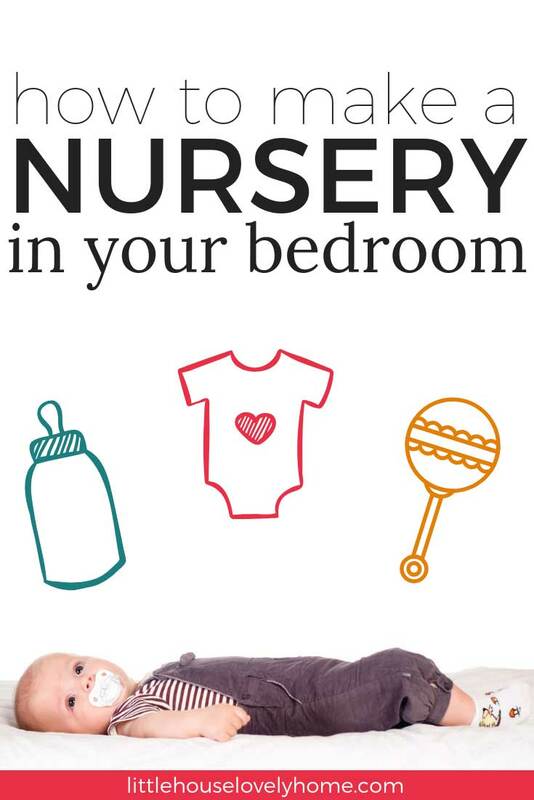 I hope you’ve enjoyed these tips for sharing a room with your baby. If you have any questions please ask in the comments below. If you like this, pin it for later.